I have been crafting for about 12 years on and off, bits and pieces, here and there and I have to say I'm learning new things all the time, everyday. New techniques, new equipment, new ways to do things, and new makes and dos. If you're learning a new technique, like heat embossing, or stamping or die cutting, I always go through YouTube first to have a look at some videos which demonstrate the technique and then you'll be able to see it in action. 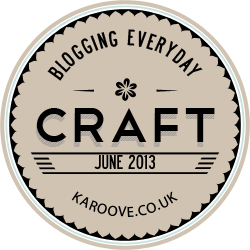 Sometimes crafters will show you what equipment or tools they use and if they have blogs in relation to their videos, or links in the down bar. If you can't go through YouTube, doing a simple search on Google or look through social media like Pinterest or Facebook. IO started out in crafting by buying a few crafting magazines a month, it doesn't have to be a tremendous amount, but maybe two or three magazines - pick and choose whichever in relation to your craft and have a flick through and obtain inspiration, some makes might be easy, others not so much, but you wont know until you try! I always started out by creating simple cards, ones that had hand drawn pictures, or just one picture and no words and then I started building up to more advanced cards, adding new materials, adding new techniques, adding new colours and papers and you'll find what style works best for you. Self explanatory, you'll be able to find inspiration via Craft Blogs and you can use social media, Google and you'll be able to find crafters and inspired articles. You can also enter in challenges too, but you can work your way to that, you can just gain a bit of confidence in creating cards first and then entering challenges when you're ready! Get your friends to help! I'm always testing out my cards with my friends, getting their opinion, seeing if they like some of my crafting, and even they have some great ideas on crafty things you might like too! But most of all enjoy it, get into it, have fun with it and experiment with it! You'll find that not being strict with yourself will make your creativity flow and thrive! So just go for it! Melusberry Crafts was founded in Summer 2012 in London, England. 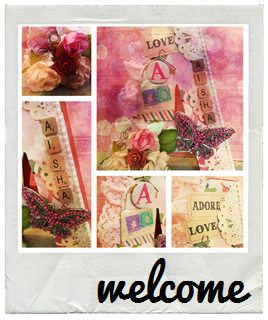 Our little HQ is dedicated to producing, handcrafting and creating cards and papercrafts with you in mind. Made easy, made available and made to measure, every card is individual, special and unique. You can email us for more information or any specific requests.